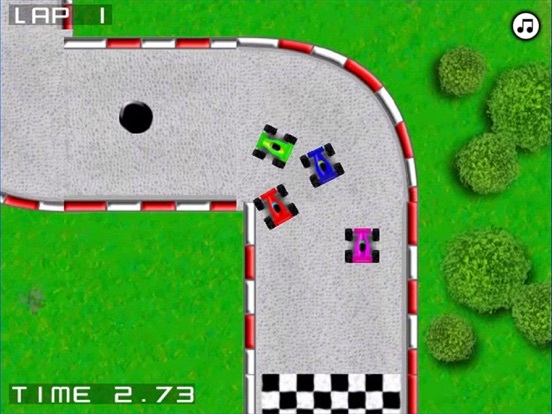 A simple to play retro style racing game inspired by classic games like Super Sprint and Micro Machines. 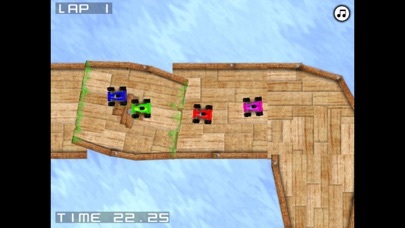 It currently has 24 tracks and three skill levels making it suitable for everyone. 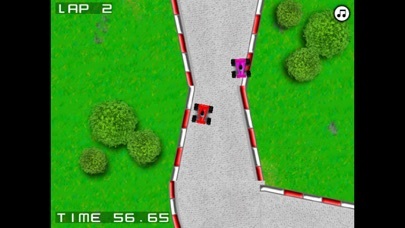 CONTROLS: Simply touch the left hand side of the screen to turn left, or the right hand side of the screen to turn right. That's it! No need to worry about acceleration, braking, gears or damage. 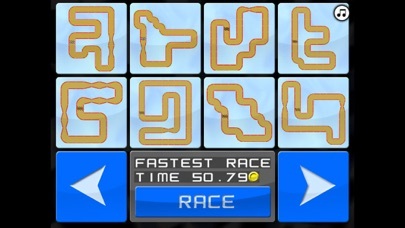 AIM OF THE GAME: Finish each track in first place to unlock the next track. 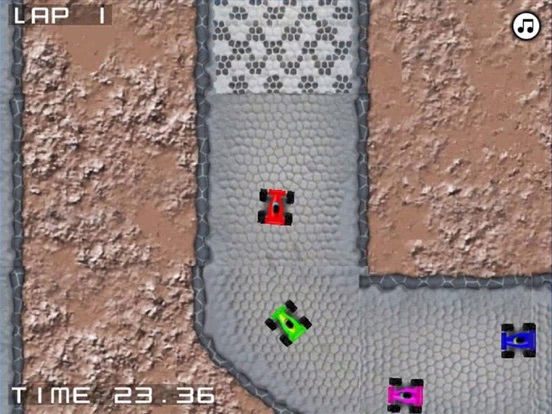 You will be racing against 3 computer controlled cars. If you come first on the 'Slow' setting you win a bronze medal for that track. Come first on the 'Norm' setting and you get silver. Finish first on the 'Fast' setting and get a gold medal. Watch out for oil spots which will affect your steering, and water spots which will slow you down. TIP: Unlock all of the courses by coming first in each one. Then try and get a gold medal in them all. 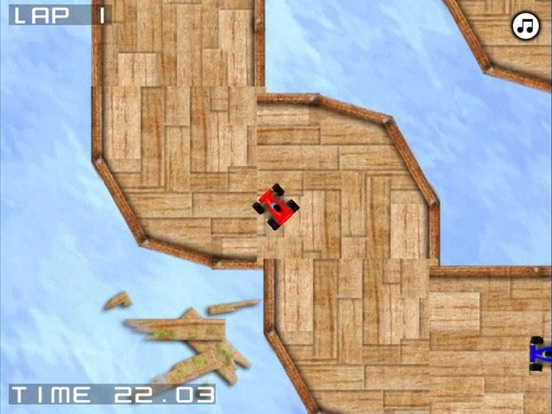 Finally try and beat your own times or those of your friends.